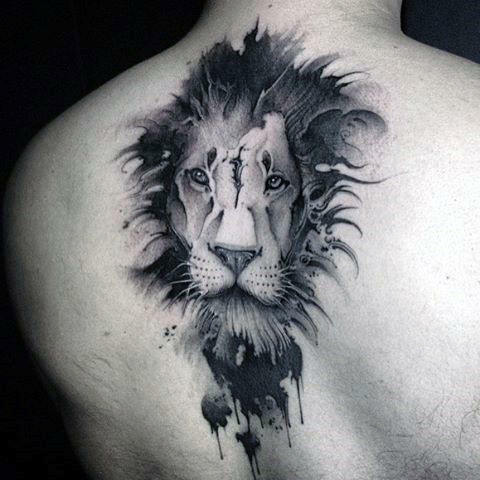 Widely known as primitive and cunning creatures, the lion is equally loved and intimidated throughout human history. 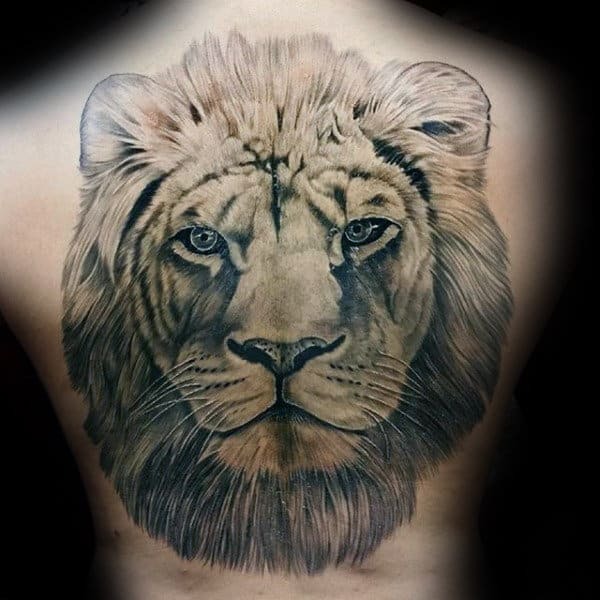 Lions, now populous in Africa, can be traced back thousands of years into antiquity. 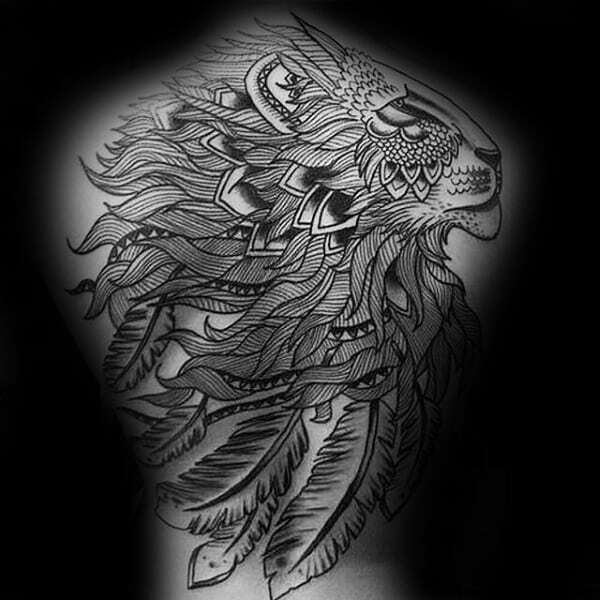 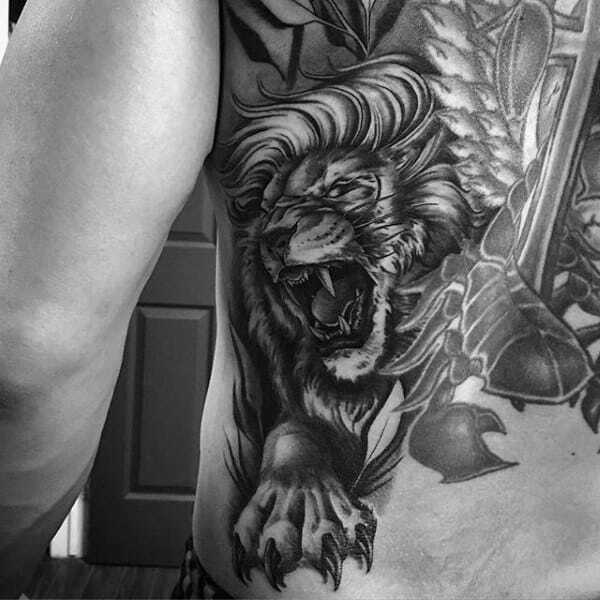 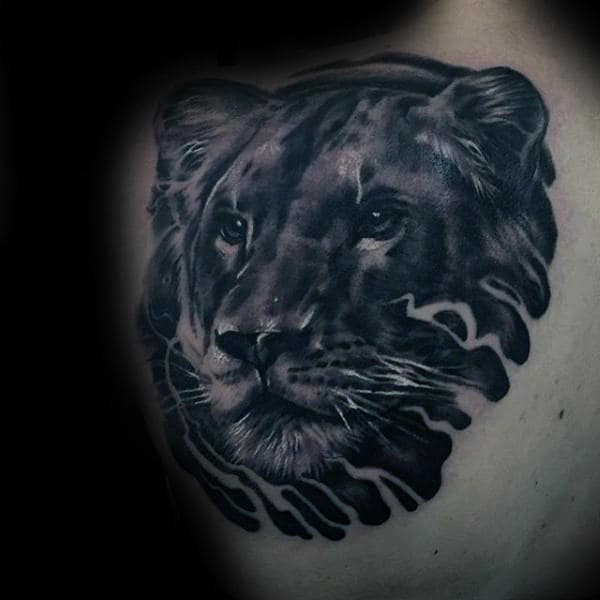 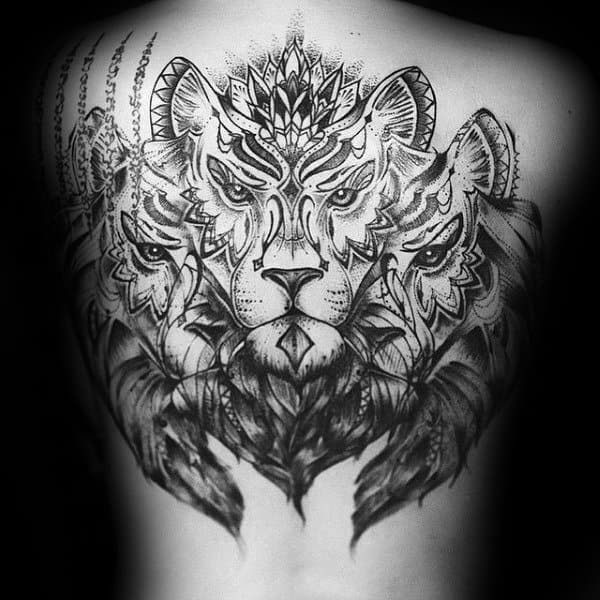 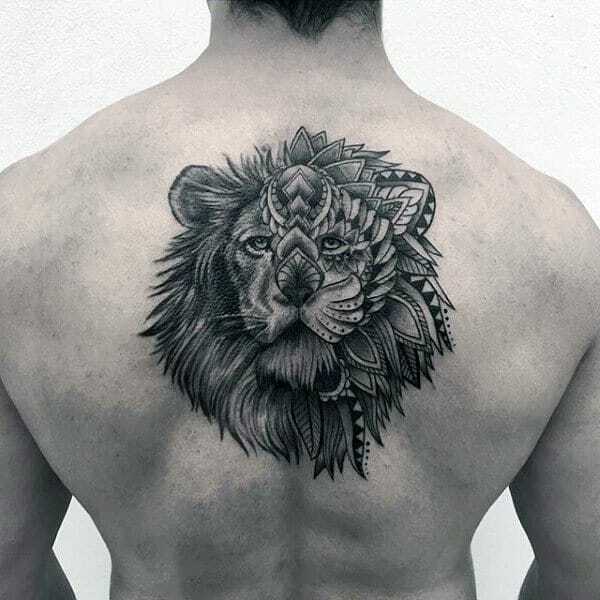 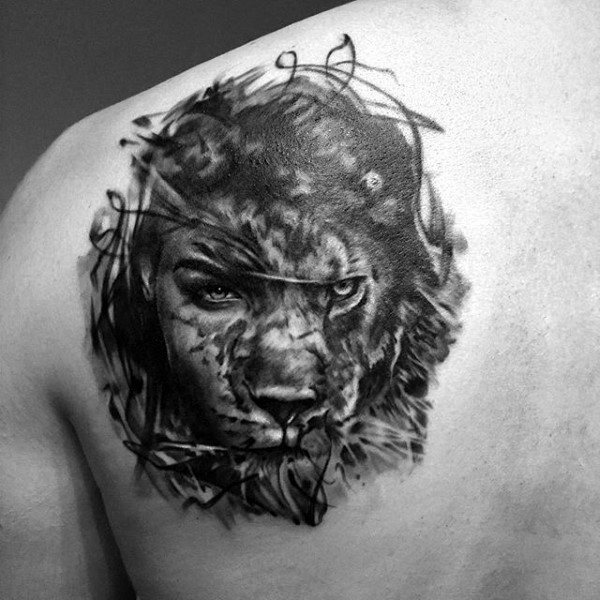 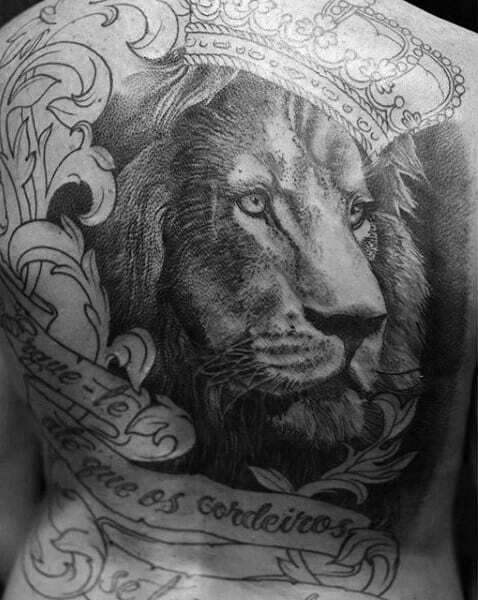 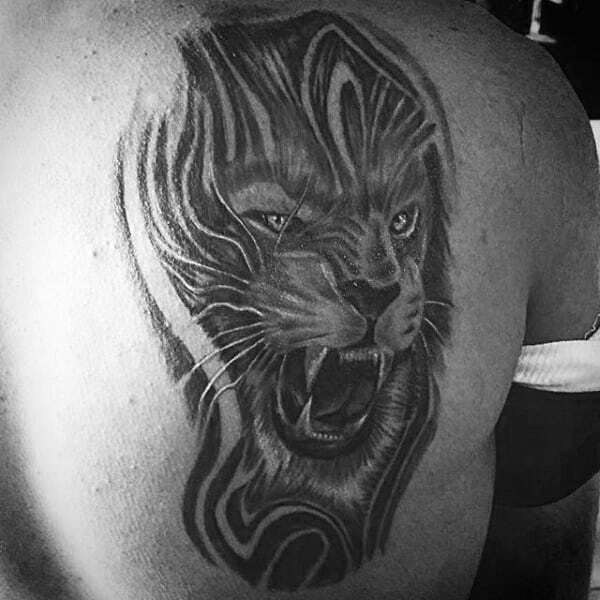 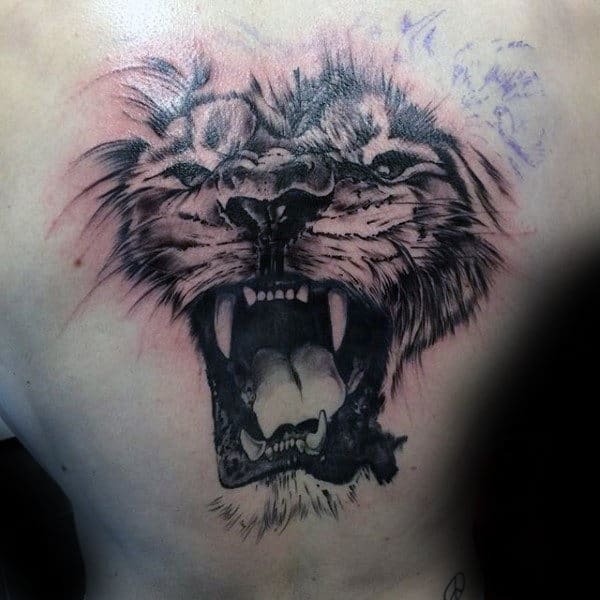 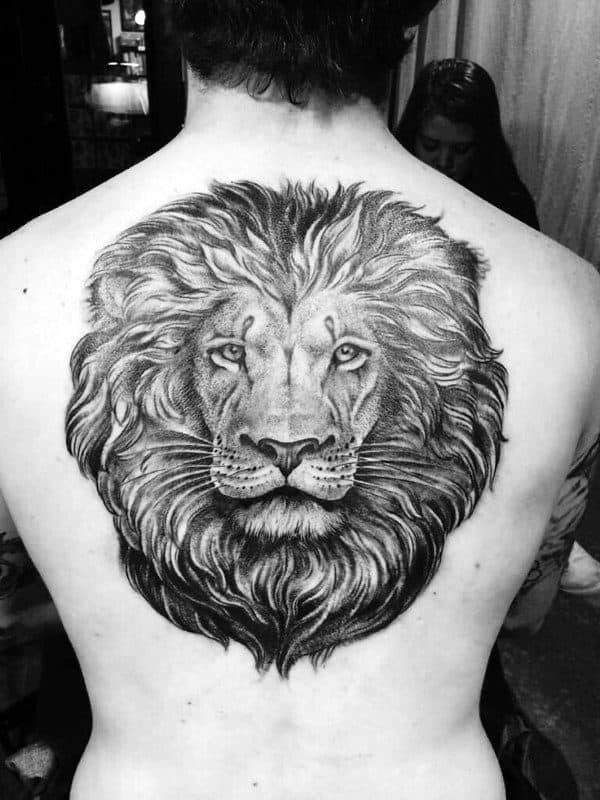 Whether you identify as the king of the jungle or you’re just a true beast at heart, a detailed and robust lion tattoo evokes power. 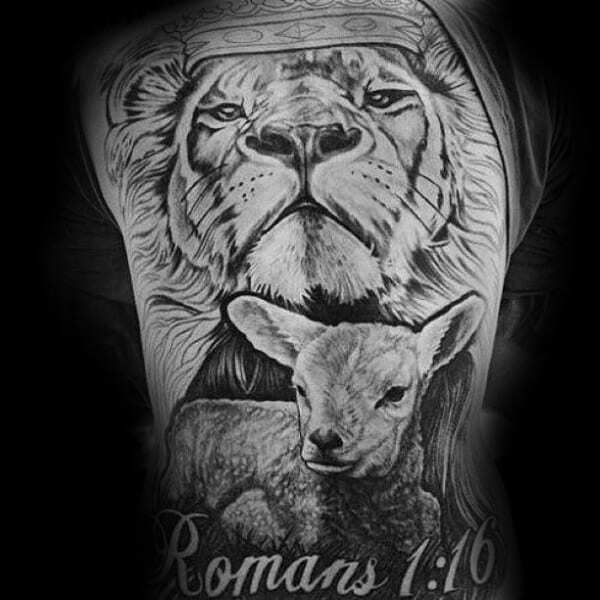 The lion is historically relevant and timeless. 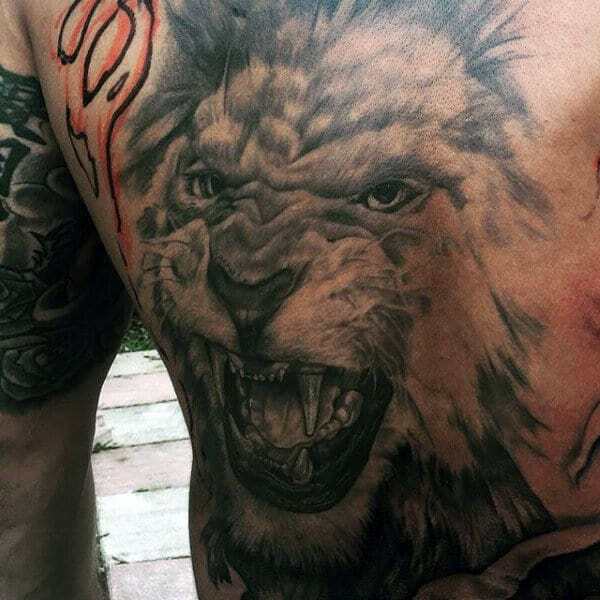 If you fancy yourself a Biblical man, consider the symbol of Mark the Evangelist, a winged-lion, who allegedly survived being thrown to a hungry pride. 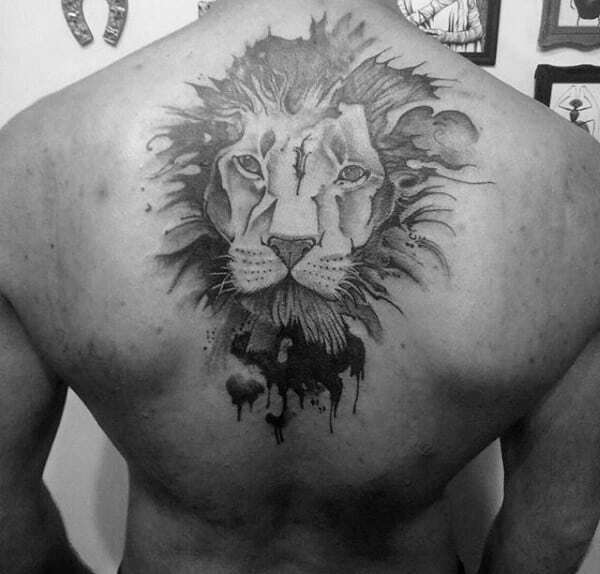 Even Egyptians regarded lions as guardians and protectors of their magnificent structures. 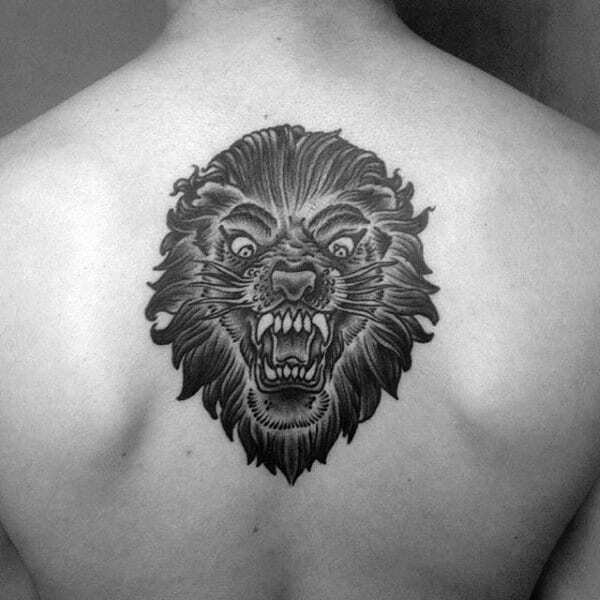 Regal statues of Imperial lions still guard many Chinese temples today. 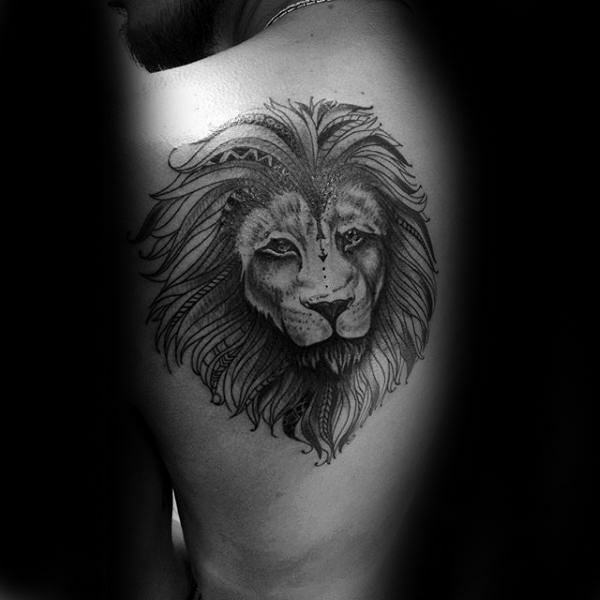 Maybe you’re a true Leo, loyal and passionate, or just a lover of felines large and small. 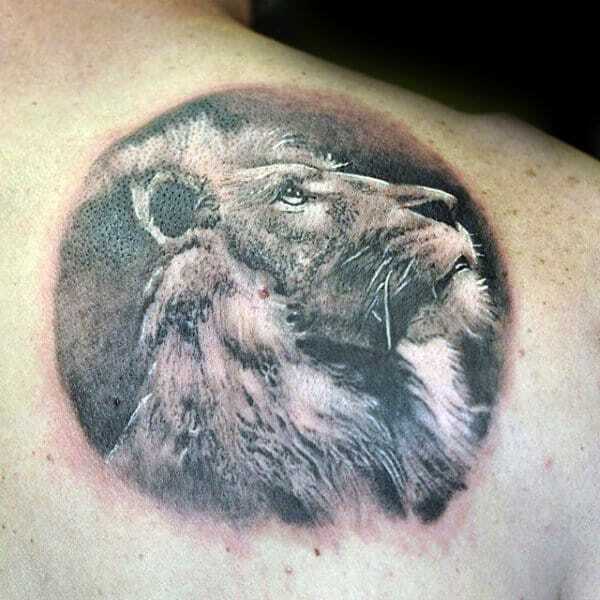 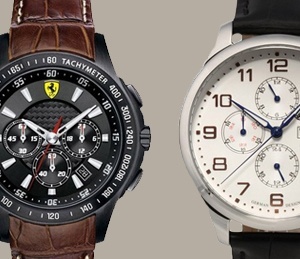 Whatever your reasons for choosing the majestic lion, know that it is the quintessential symbol of a powerful animal. 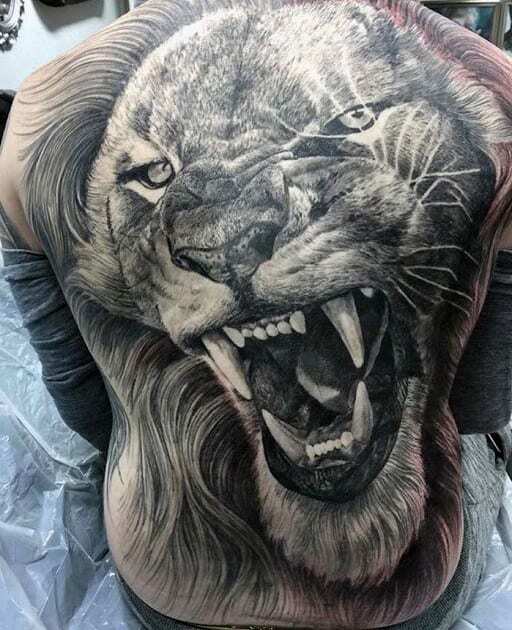 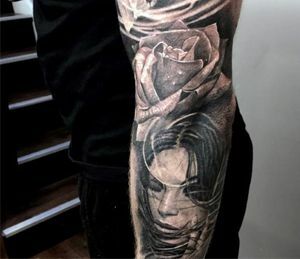 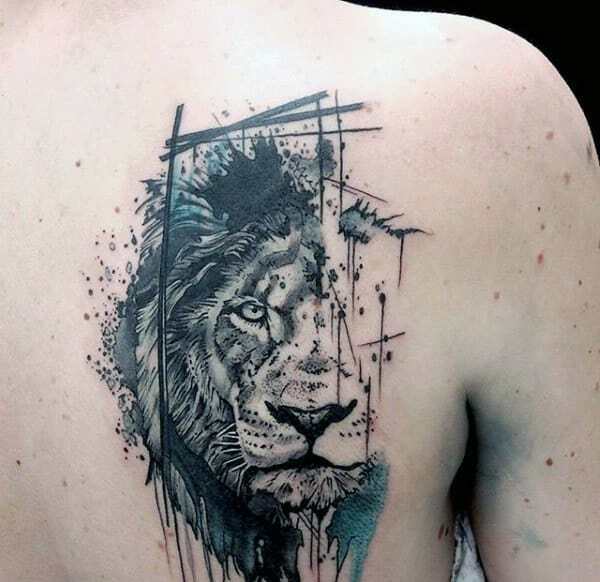 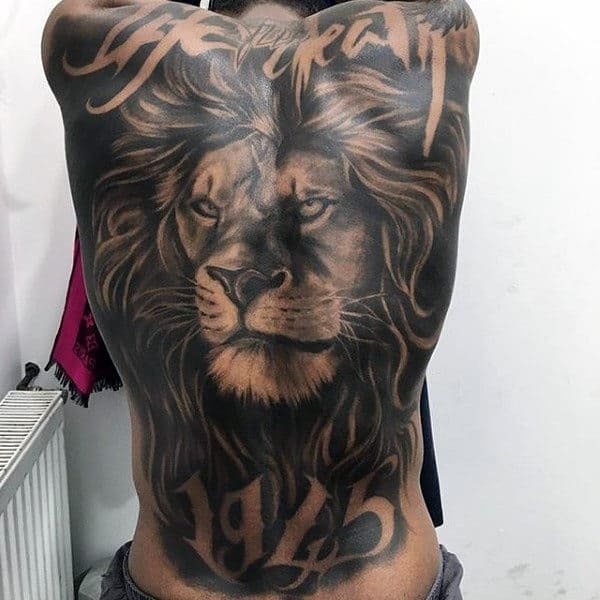 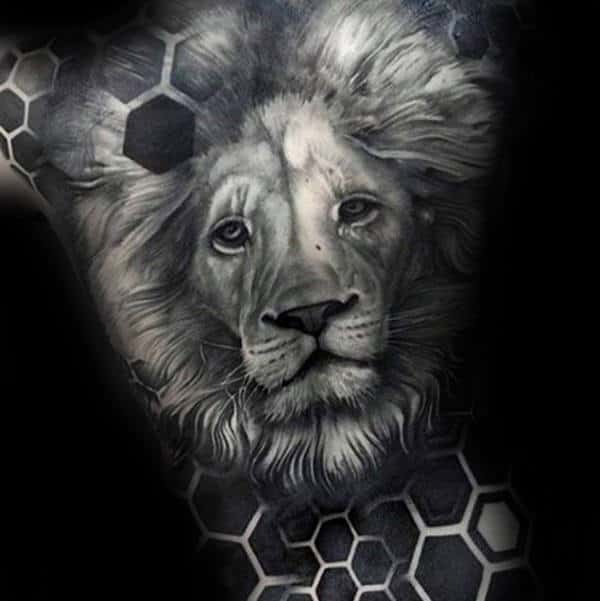 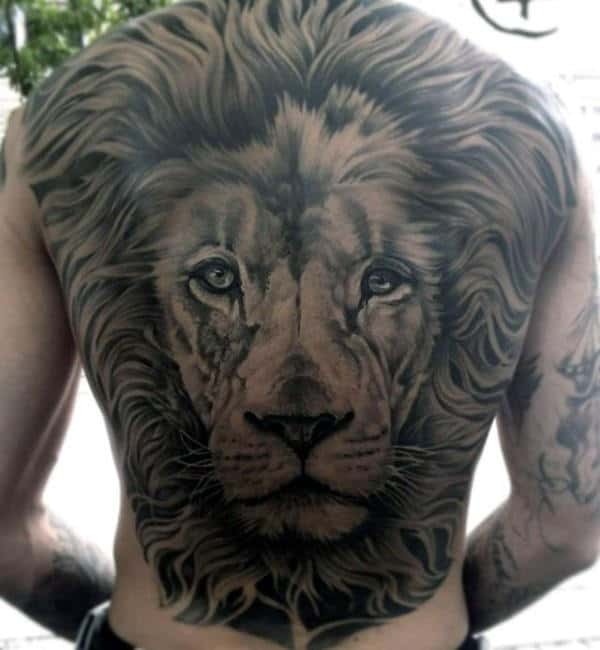 As the roar of the lion can resonate up to five miles away, a fully inked back displaying this fantastic creature will surely be noticed when it turns heads. 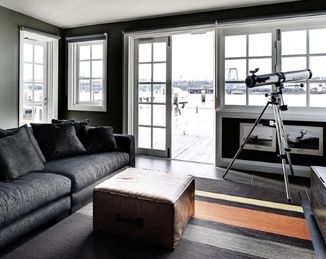 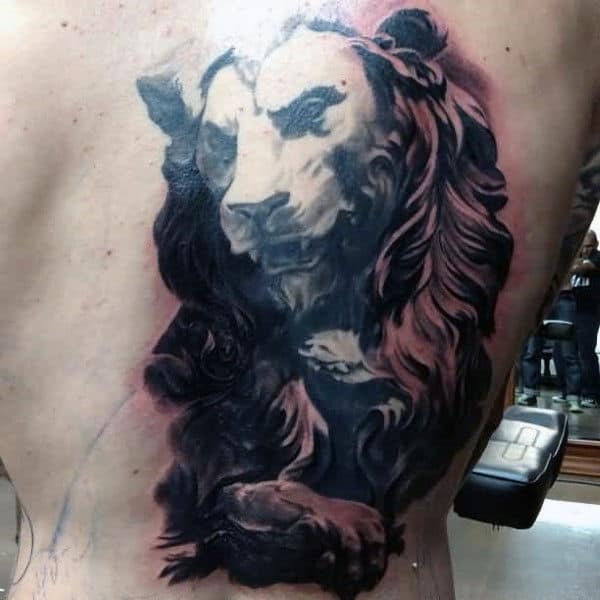 Consider pairing your lion piece with a landscape of the ancient Pyramids, in front of a sacred Chinese temple, or just nestled with his family. 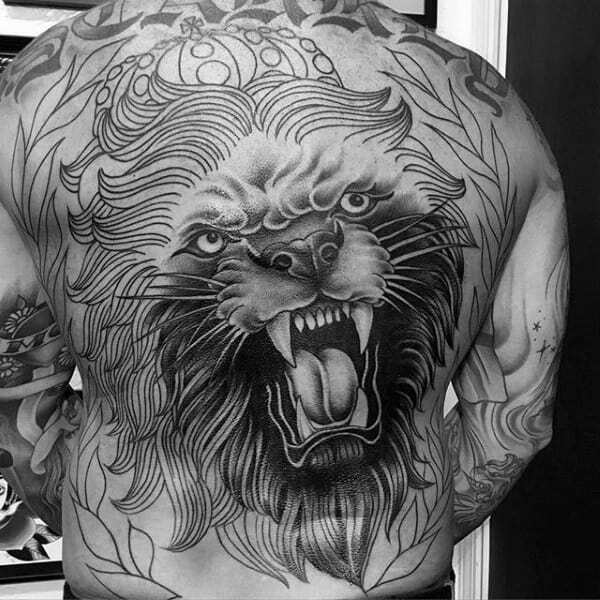 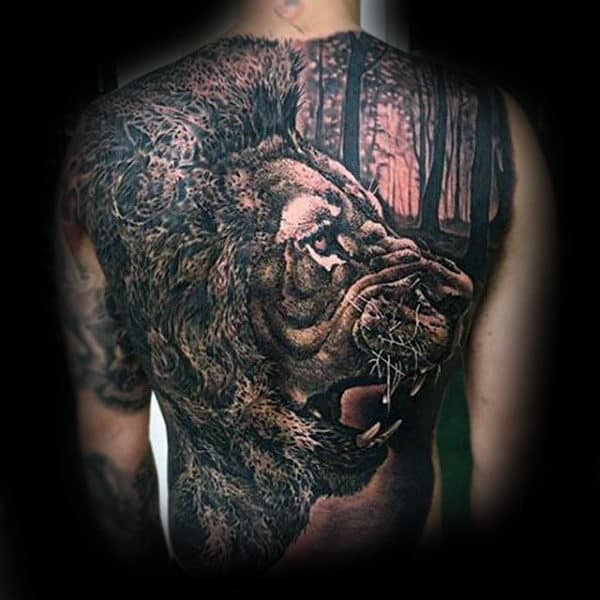 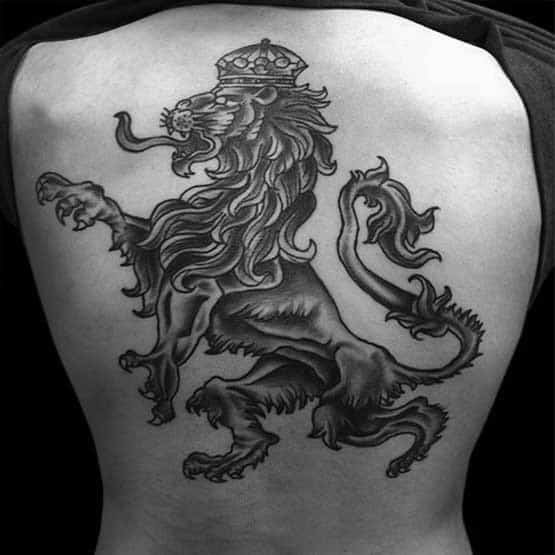 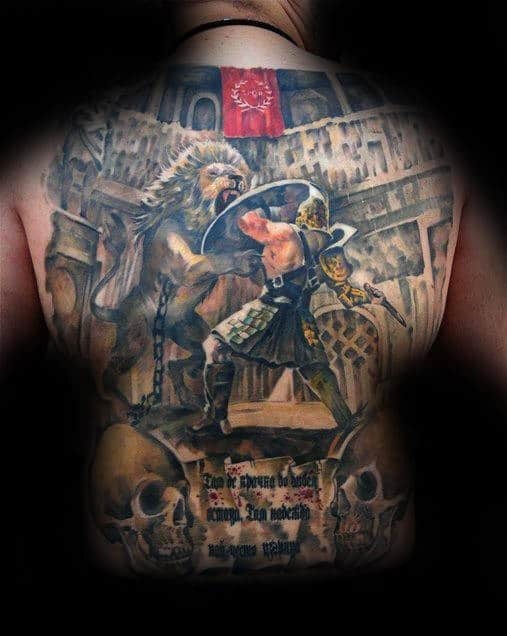 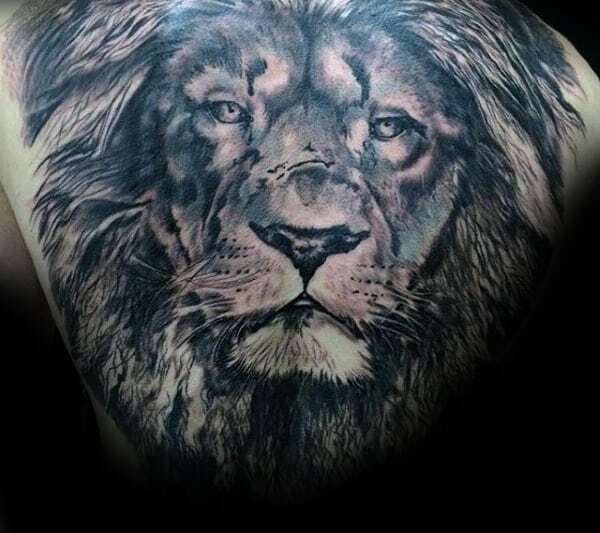 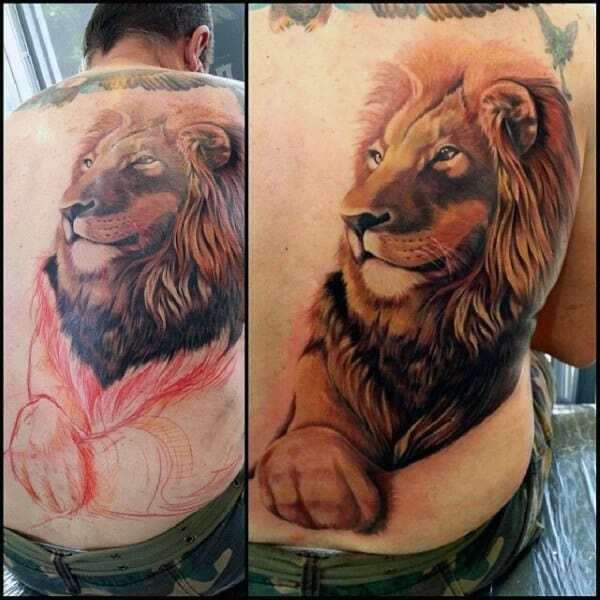 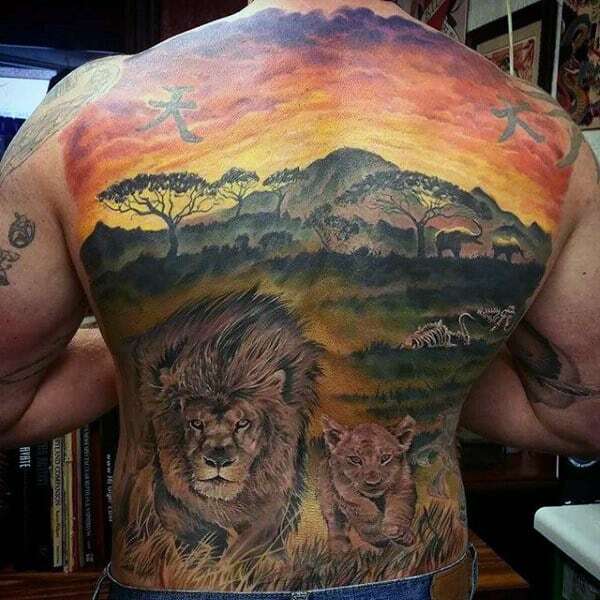 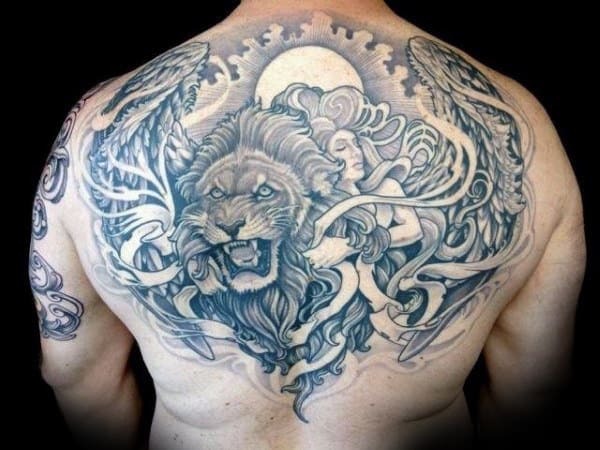 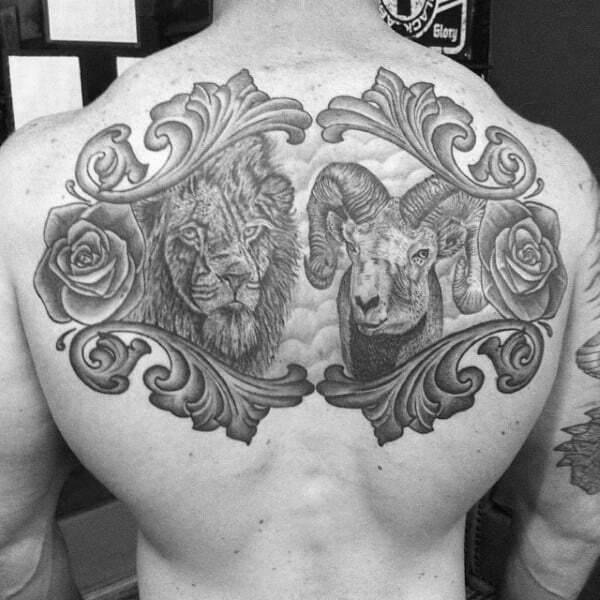 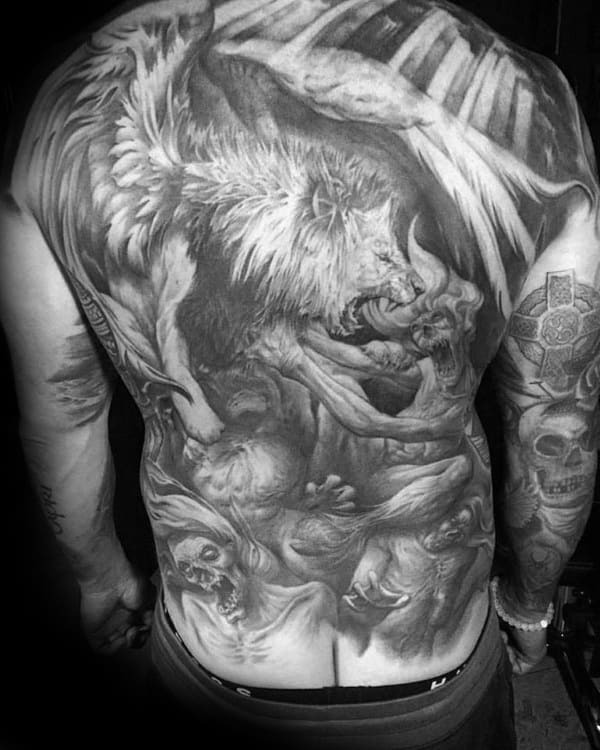 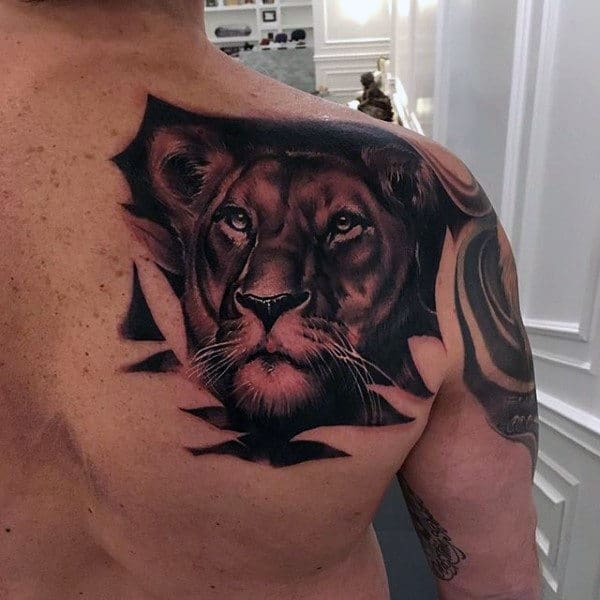 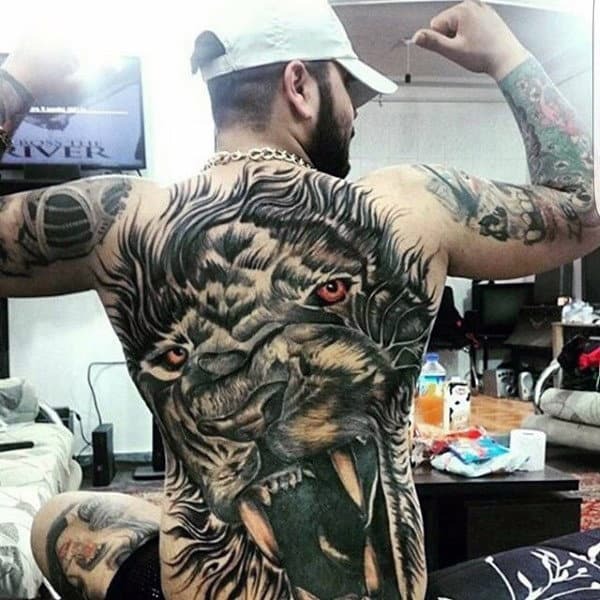 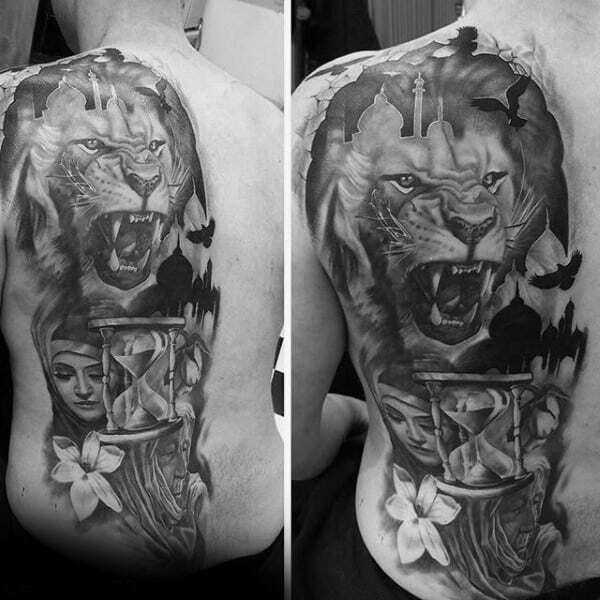 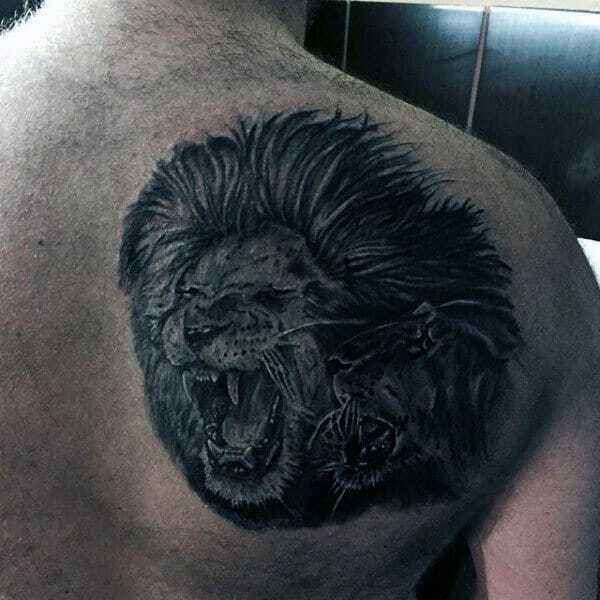 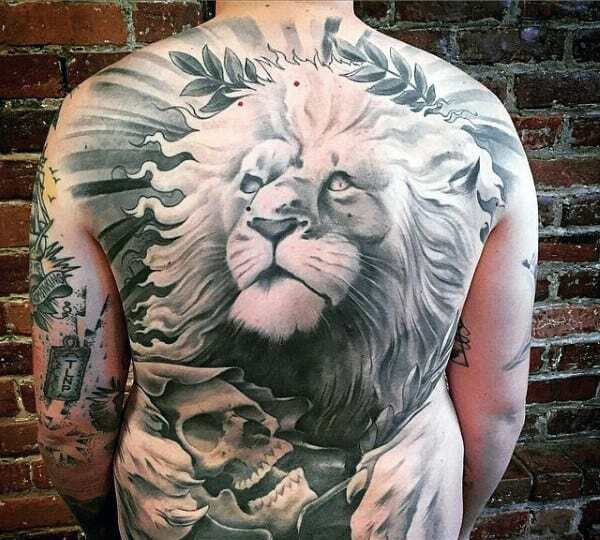 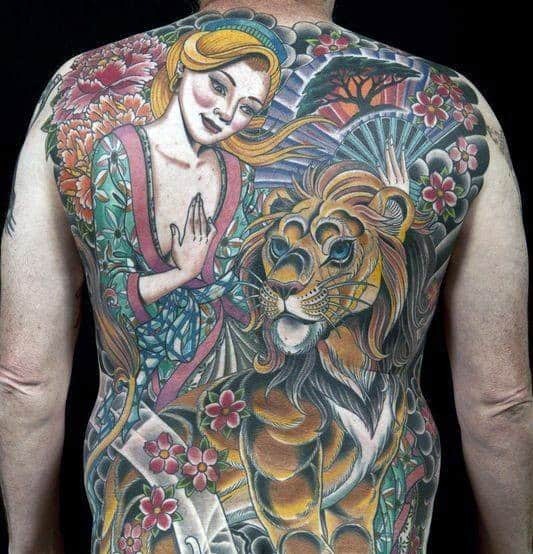 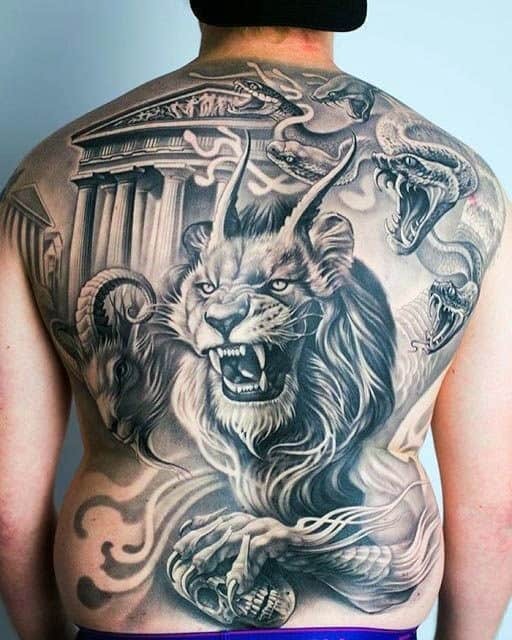 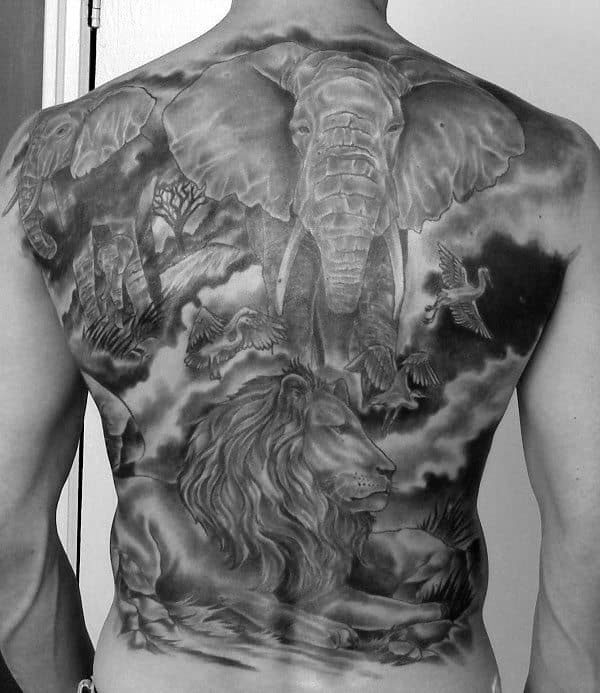 Much like a pride of lions, you will be more than satisfied touting your inked spirit animal permanently as a full back tattoo.